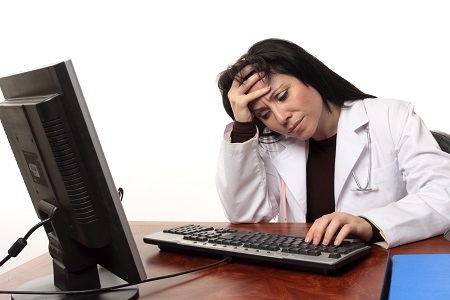 Does EHR Implementation Hurt Providers? Providers make the decision to adopt EHRs as a way to reach a long-term goal, yet there is concern they can cause immediate problems. Implementing a new records system isn’t easy. That’s why researchers from Harvard hypothesized switching to an EHR would cause providers negative short-term effects. Researches were surprised to find that implementation did not negatively impact providers as they had predicted. EHR Intelligence reports researchers observed hospitals for 90 days before and after the EHR implementation, noting new EHR implementation had no measurable effect on 30-day mortality rates or adverse safety events. In fact, thirty-day readmissions reduced from 19.9 percent prior to EHR implementation to 19 percent following implementation. “That we found no association of EHR implementation with inpatient outcomes might be surprising given the negative impact associated with more routine, less disruptive changes,” researchers reported. As with any study, some hospitals were outliers and did experience negative effects following implementation. For example, Brigham and Women’s Hospital came $53 million short in its projected $121 million surplus for fiscal year 2015 after going over-budget on their EHR implementation. In 2014, an Epic EHR implementation at Cambridge University Hospitals (CUH) in the United Kingdom, caused technical issues which resulted in patients needing to come back for tests and have operations or clinics rearranged.